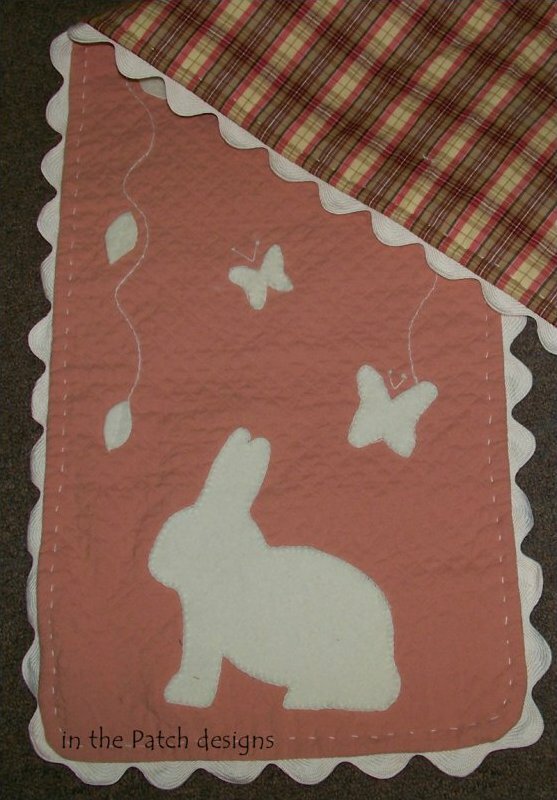 Approximate size: 22" x 42"
This little quilt measures 23-1/2" x 26-1/2". It's Jorja's first day to play outside in her backyard jungle where new adventures await. 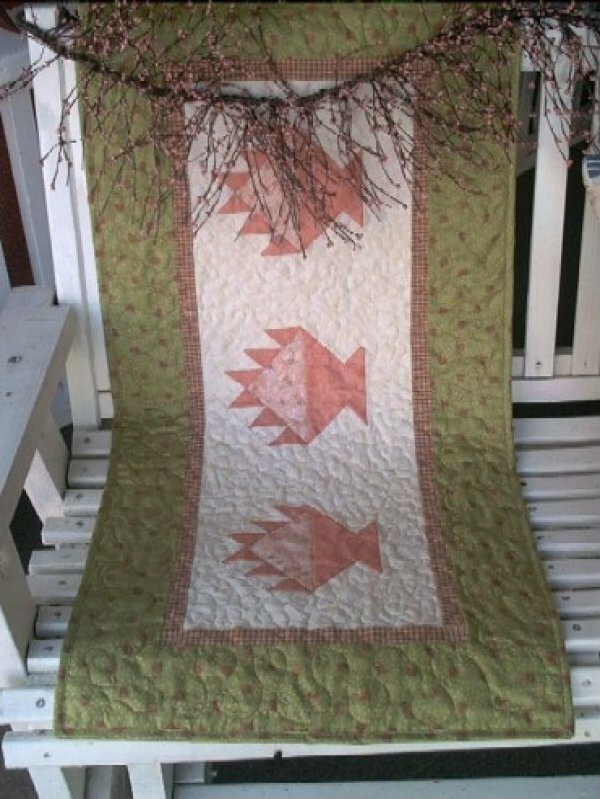 This is the spring quilt in a seasonal door banner series. She's name Lucky because she was born after the rabit foot key chain era. The quilt measures 18" x 42". 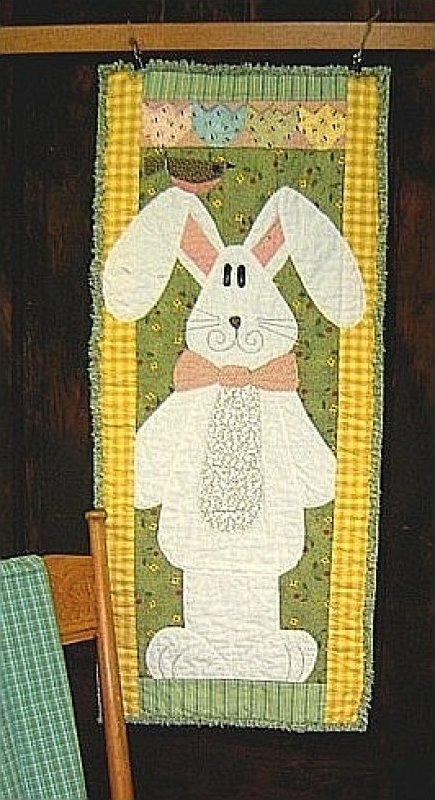 Approximate size: 20" x 50"
This is the summer quilt in the seasonal door banner series. Sam's best friend is a bright red cardinal named Liberty. The quilt measures 18" x 42". 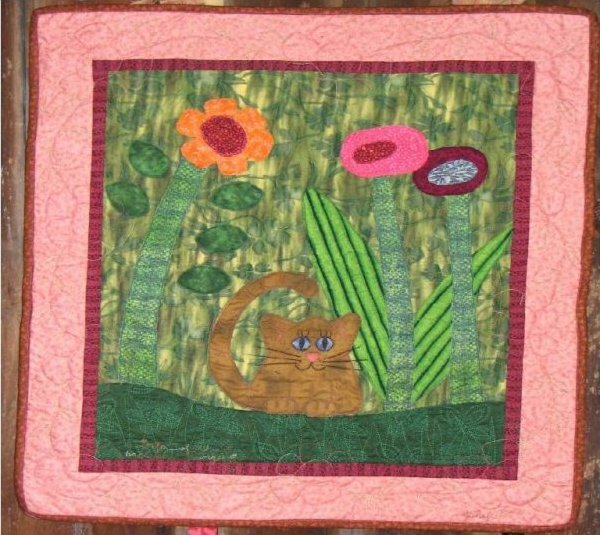 The suggested process allows you to quilt as you sew & applique. 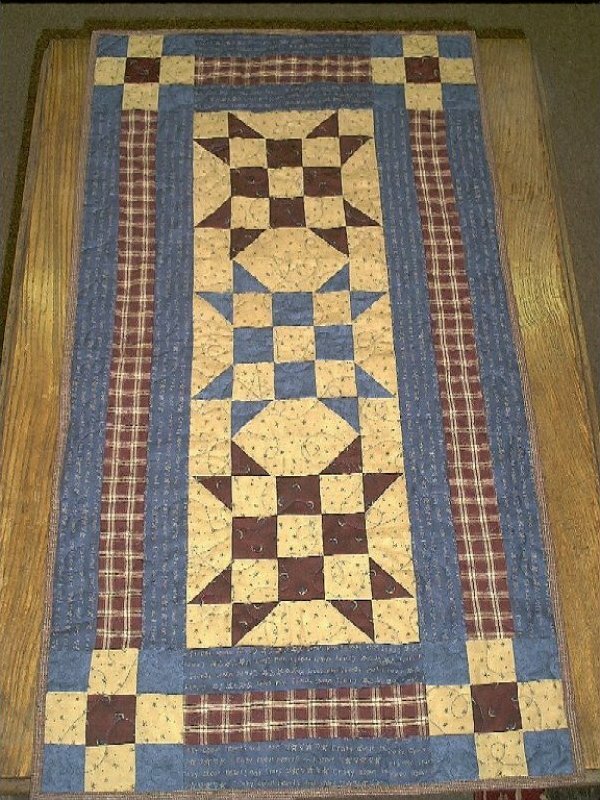 17" x 48" Perfect size table runner for a farm table. 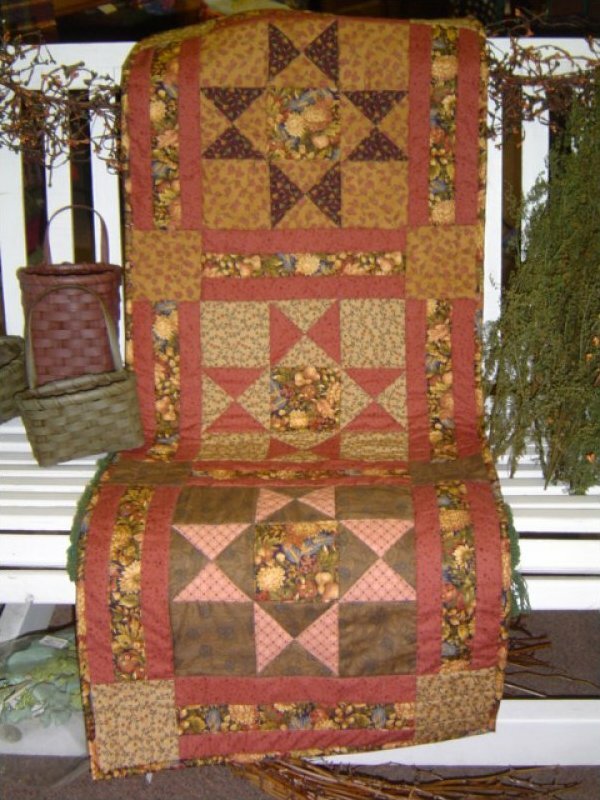 Homespuns, wools & buttons make this project a great primitive project to give as a gift or for your home. 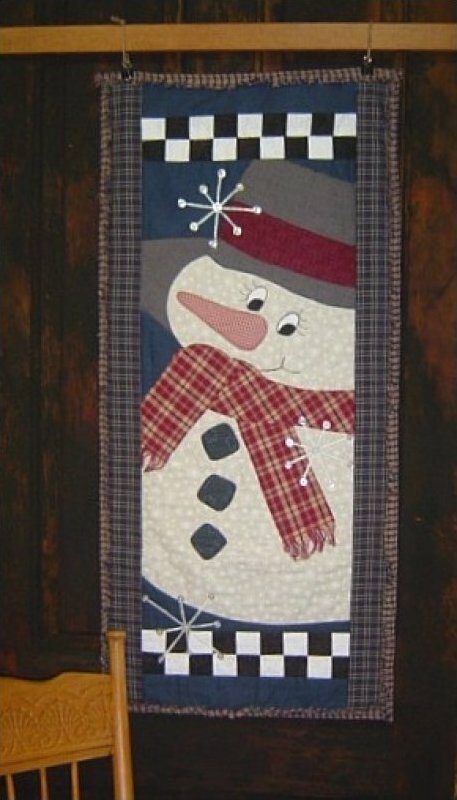 Approximate size: 21" x 41"
18" x 42" This is the winter door banner is a seasonal series of door banners. The applique sheets are actual size.